Have Fun with making Art. Photos and editing by myself. And I tried how the overlay-function would come out on a greyscale-drawing. And when PixelFancy said that my Live-character looks cool I decided to draw my larp-character. The second clan-drawing from the vampire-larp where I'm playing. The first clan-drawing is done! It shows all toreador-characters from the vampre live where I'm playing. I hope you had a wonderful holiday time too! I had some nice holidays, thanks! Gerne doch, das Makerspiel hat mich angelockt. 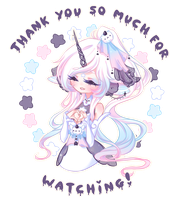 Thanks so much for the fav and watch!! You´re welcome! I really adore your art!